Makers of creative custom costumes, cosplay headress, mask, shoes, armory, mascot and accesories. What was your baby’s costume in last year’s Halloween celebration? This year, do you want something different and unique. Let us give you concepts straight from an artist’s point of view. Let us show you sketches you’ve probably never seen before. Let us take you to another dimension in enjoying Halloween 2011. Or you can just go get our pre-made-to-order costumes ready to wear at cheap prices (see categories in the sidebar). 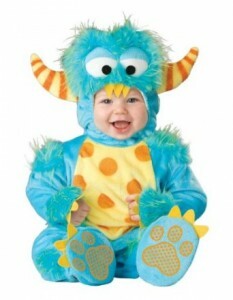 We actually make any type of costume for babies and infants. It could also be for any occasion and not just your yearly halloween stuff. We make costumes for special occasions like birthdays, United Nations celebration, animal-themed headresses, masks, shoes, accessories, wardrobe and more. Use our costume ideas as we present our sketches to you or use your own creativity by giving us your drawings or concept and we will turn it into reality. We’ve seen some common cute costumes for your baby and we the good news is, we can also make them for your such as baby monkey costume, monster, cowboy, Disney’s Elmo, Big Bird or Oscar (of Sesame Street), tiger and more. You can also opt in to buy our regular headdresses available at cheap prices compared to buying them in popular malls in the Philippines. We ship and deliver your costumes too at the lowest shipping cost possible with no hidden extra charges or interest. We ship them anywhere you may be in the Philippines be it in Luzon, Visayas or Mindanao. For custom costume orders of your baby / infant costume, just head to our “FREE QUOTES” section above or below (click the image) while if you want to buy our regular ready-to-wear costumes, you may see our categories in the sidebar. Happy trick or treating in halloween! This entry was posted in Baby Infant, Occasions and tagged baby monkey, big bird, brithday, cowboy, disney, elmo, headdress, mask, monster, sesame street. Bookmark the permalink.